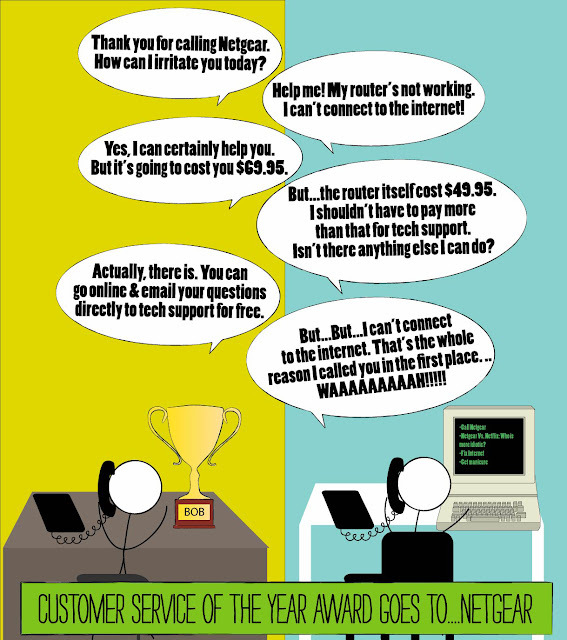 thesupergreat: Netgear Vs. Netflix: Who Is More Baffling? I vote Time Warner in on this awesome display of human communication! Haha if you can imagine, Time Warner was a walk in the park compared to Netgear! !